A California Superior Court ruled last week that a man dying of cancer, who is suing Monsanto, can present evidence that Monsanto covered up research linking glyphosate to cancer. Glyphosate is the main ingredient in Roundup, the world’s most prevalent herbicide used in agriculture, that has been found in 93% of Americans’ urine , most mothers’ breast milk , and is probably residing inside of every person alive on planet Earth. At the age of 46, DeWayne Johnson is not ready to die. But with cancer spread through most of his body, doctors say he probably has just months to live. Now Johnson, a husband and father of three in California , hopes to survive long enough to make Monsanto take the blame for his fate. On 18 June, Johnson will become the first person to take the global seed and chemical company  to trial on allegations that it has spent decades hiding the cancer-causing dangers of its popular Roundup herbicide products – and his case has just received a major boost. Last week Judge Curtis Karnow issued an order  clearing the way for jurors to consider not just scientific evidence related to what caused Johnson’s cancer, but allegations that Monsanto suppressed evidence of the risks of its weed killing products. Karnow ruled  that the trial will proceed and a jury would be allowed to consider possible punitive damages. 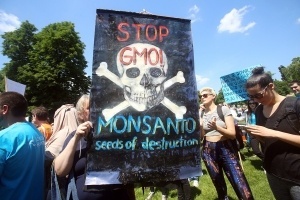 There are more than 4,000 other cancer victims who have filed lawsuits against Monsanto since the World Health Organization’s (WHO) International Agency for Research on Cancer (IARC) published a report  linking glyphosate to non-Hodgkin lymphoma. Therefore, should this case actually make it to trial, and DeWayne Johnson gets his day in court before a jury, it could set quite a precedent. Health Impact News has previously published evidence that Monsanto concealed scientific studies linking its herbicide to cancer as far back as the 1970s. Dr. Anthony Samsel, a research scientist who has been studying the toxicity of glyphosate for many years, reportedly obtained documents from the Environmental Protection Agency (EPA) in 2015 that allegedly show Monsanto knew about research connecting glyphosate to cancer since the 1970s, but kept the studies sealed claiming they constituted a “Trade Secret” on their patented herbicide product. While the focus since 2015 has been on the link between glyphosate and cancer, due to the World Health Organization’s report linking it to non-Hodgkin lymphoma, there is plenty of evidence linking glyphosate to other health conditions. MIT researcher and scientist Dr. Stephanie Seneff, who has co-authored several studies on glyphosate with Dr. Samsel, has linked glyphosate as a major co-factor behind the autism epidemic we are seeing today. Dr. Seneff shocked the world in 2014 when she stated that at the current rates, half of the nation’s children will be autistic by 2025 , and that glyphosate is a major cause of autism. Glyphosate is linked to many other health conditions, including disrupting our microbiome, which is a key component to digestive and cognitive health. The severe problem of glyphosate contamination became quite evident to me in 2014. 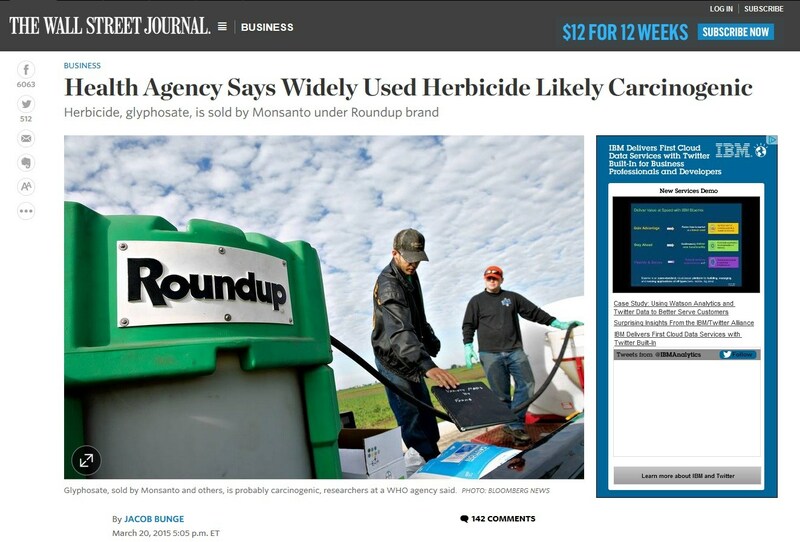 After publishing these reports on the problems associated with glyphosate on Health Impact News, we learned that glyphosate contamination was not restricted to just GMO foods that had been sprayed with Monsanto’s herbicide. Dr. Don Huber had explained to us that many grain farmers in the northern U.S. states used glyphosate to “desiccate” their crops just before harvest, by spraying them with glyphosate herbicides. This allowed them to harvest wheat and other grains before snowfalls started and have more control over their harvest. Dr. Huber stated that as a result, many non-GMO crops, such as wheat, oats, barley, etc. were contaminated with glyphosate. I am the founder and owner of Healthy Traditions , a high-end food company that, at the time, was selling mostly USDA certified organic food from high-quality, small-scale sustainable producers. It is one thing to read academic research making certain claims regarding food products, but we decided to test those claims by testing some non-GMO grain products in the market for the presence of glyphosate, using an internationally recognized laboratory known for testing for the presence of GMOs and herbicides. 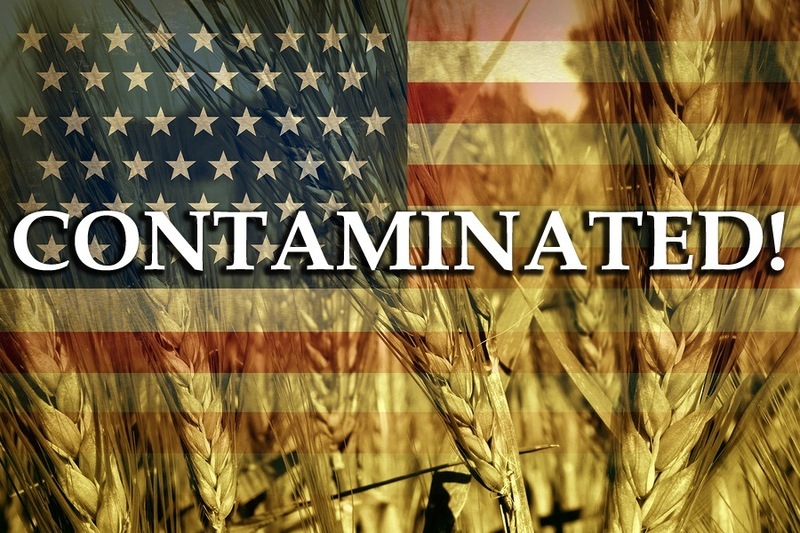 Our tests confirmed that grain products from the northern U.S. states, as well as from Canada, had levels of glyphosate present, in spite of the fact that they were not GMO products. We then decided to test some of our own USDA certified organic grains. The results shocked us. Most of our grains contained almost the same levels of glyphosate as conventional, non-organic products! We checked with our suppliers, who assured us that the farmers were not spraying glyphosate on their crops. Their crops were apparently becoming contaminated from other sources, such as neighboring farms, ground water, or even rain water . Even more troubling was our discovery that the USDA National Organic Program allowed for small amounts of glyphosate to be present in even USDA certified organic products. We mostly abandoned using USDA organic standards, and we started testing all of our products for the presence of glyphosate. 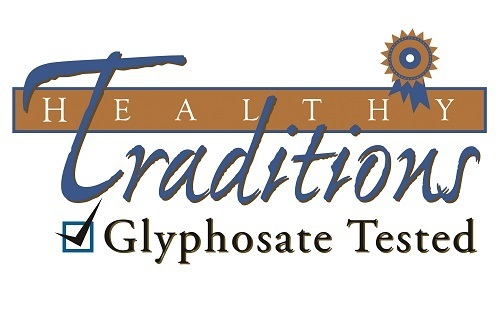 It has taken us some time to find products that test clean for glyphosate among certain foods. Many of our products had to be sourced outside of the U.S., with many of our grains now coming from Italy, and our corn coming from a remote area of Mexico where GMO crops are banned.